If the thought of fishing for hard-fighting wild salmon, trout, pike, bream, tench, roach, rudd, perch and dace in beautifully scenic surroundings appeals to you, then you won't be disappointed. Throughout the Shannon Region, all the ingredients for a great fishing holiday are available in abundance. 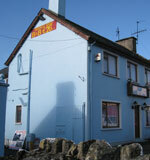 Located on the premises of Bridge Side B&B is the River Bank Fishing Tackle Shop. Guests who are interested in a fishing expedition whilst holidaying can avail of fishing tackle hire. Also a boat and guide can be arranged on request along with packed lunches to complete the ultimate fishing experience in Ireland. River Bank Tackle are stockists of all fishing tackle such as hooks, reels, rods, waders, ground bait, frozen bait and fiesh bait (maggots and worms). Also stocked are brands such as Daiwia, Shakespeare and Browning. Also located on the premises of Bridge Side B&B is Kearney's Cycles. Here you can avail of bicycle hire. You can hire for a number of days or just daily if you wish to take a cycle through the beautiful local scenery. If you are a traditional Irish music enthusiast, you won't be disappointed with Sixmilebridge. Located in the village are seven pubs and you are almost guaranteed to find a traditional Irish music session with local musicians in one of these pubs every weekend. Every year in the third weekend of January, the Winter Music Weekend takes place in Sixmilebridge. A weekend full of music sessions and concerts, this event attracts fans of traditional Irish music, bluegrass, blues, gypsy, country and classical music from all over the world. Started in 2000, the festival has gone from strength to strength each year and never fails to please and delight the music fans. The Shannon Region is dominated by water and is particularly suited to watersports enthusiasts. The River Shannon and its largest lake 'Lough Derg' are among Europe's most popular watersports venues, and the Atlantic seacoast is a diver's underwater wonderland. Here, people can partake in all kinds of activities such as boating, cruising, yachting, sailing, windsurfing, skiing and angling. And for those surfing enthusiasts, we are located within an hour's drive of some of the finest and most popular surfing beaches in lreland - Lahinch and Spanish Point amongst them. County Clare has many beautiful walkways that you can enjoy. Located just outside Sixmilebridge is Cratloe Woods, a perfect setting for hiking/hill walking. One of the walkways located nearest us is the Mid-Clare Way. One of its key trailheads is at Quin, located approximately fifteen minutes from Sixmilebridge. 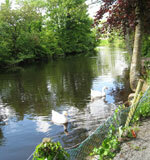 There are many other walkways in Clare, most notably the Burren Way, the Lough Derg Way and the East Clare Way. If you plan on seeing more of Ireland why not take a rental car at Shannon Airport Car Hire one of the top car hire comparison websites for quality cars.